Most of us do some sort of planning almost each and every day. But is it effective planning? There are 6 steps to a truly effective plan. Most only do the first four steps. Some do the 5th but very, very few do the 6th step. Yet, that's where the real power of planning lies. The chances that you'll actually get something done are improved 81-82% if you do step 6 rather than just stop at step 4 (see why at bottom of this post). 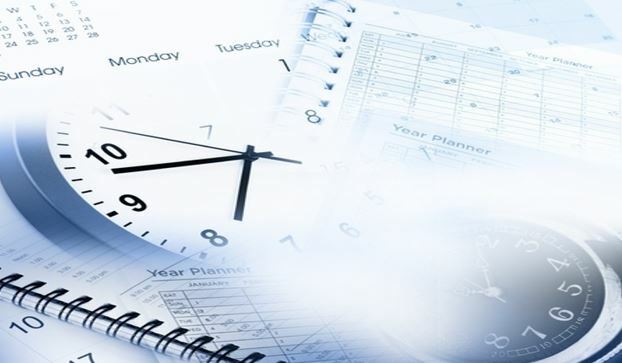 The following planning method can be applied for whatever planning period you are contemplating – daily, weekly, monthly, quarterly, annually or even a 5 year plan – the same steps are involved. (This image below is from the back of one of my previous business cards). Here's why you're 81% more likely to actually get something done by scheduling rather than just making a to-do list . . . Step 4 answers the 'WHAT needs to be done?' question. But it doesn't answer the 'WHEN will it be done?' question. Even if you give it a reminder, that only tells you by what time it needs to be done but not WHEN will you spend the time to actually do it. It is only by completing the sixth step, and scheduling a specific time in your diary or calendar for that to-do, that is is most likely to happen. This WHEN question has to be answered sooner or later, so why not do it early and have stronger control of your planning, outcomes and results? I help busy professionals get control of their inbox, organise their email folders and better manage the flow of email tasks in one central location. I can help you save 27 days and $11,000 of the time that is currently spent simply 'doing email' each year. clients tell me, it could change your life!